The family of Mihail Ivanhov was of Bulgarian origin. His father, Ivan Dimitrov, was operating a charcoal business in the Bulgarian city of Varna "" at the Black Sea, more than 600 km away from Mihail’s place of birth. In 1907 Srbci was attacked by Greece and devastated; thereupon Dolia, Mihail’s mother, fled with her son to settle with her husband in Varna. In 1909 Mihail discovered the book “Proverbs of Solomon” "" which became an inspiring lecture for him and gave his spiritual development a decisive impetus. 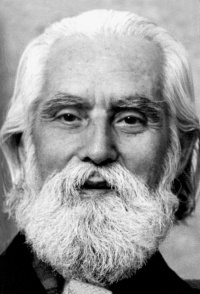 At age 17 Mihail encountered his spiritual Master Peter Deunov, who had been sent into exile by the Bulgarian government based on the pressure of the orthodox clergy, and lived in Varna. During the following twenty years Mihail remained a student of Peter Deunov (1864-1944), the founder of the spiritual movement which became known in Bulgaria as the “White Brotherhood” "". During this time he had the opportunity to immerse himself intensively in the esoteric Christian teachings of his Master. In 1923 he enrolled at the University in Sofia: “After receiving diplomas in philosophy, psychology, and education Mikhael continued to frequent the university. Stimulated by curiosity, he moved freely from one faculty to another, exploring the different disciplines, following courses in medicine, chemistry, and physics. He spent so many years at the university that his friends nicknamed him ‘the eternal student’.” In the early 1930ties he became a teacher in a school in the province of Sofia, and sometime later was appointed principal. Mihail arrived in Paris at the time of the World Fair "". Stella Bellemin "", who received him on recommendation of Peter Deunov, said about him: “The thing that struck at first glance, was the intensity of the light that emanated, light imbued with a sweetness and pure love, impersonal, that poured like a divine river on beings and things". "Frère Mikhaël", as he was called now , learned to speak the French language within a few months, “…by listening to people, to the radio, or going to the movie theatre…”, and gave his first public talk on January 31, 1938 in the Salle du Luxembourg in Paris. From then on, his talks were recorded first by shorthand, and later on tape – and published. Beginning in 1942, it was no longer possible to organize public meetings, and therefore his students decided to rent a house with garden in the city of Sevres, (https://en.wikipedia.org/wiki/Sèvres), near Paris. They met there nearly every morning, meditated together at sunrise and gathered afterwards to listen to a lecture by Brother Mikhael. Apart from working to disseminate the teaching of Peter Deunov, Brother Mikhael was involved in the support of the French Resistance as early as 1943, as attested by a statement  of Colonel Lagarde (https://fr.wikipedia.org/wiki/Robert_Sarrazac), a distinguished member of the Resistance. This involvement included help to save fellow Jewish citizens. These facts later moved General Pierre Billotte (https://en.wikipedia.org/wiki/Pierre_Billotte) (1906-1992), General-Chief of Staff of General de Gaulle, as well as Maurice Chevance (https://fr.wikipedia.org/wiki/Maurice_Chevance), also known as Chevance-Bertin (1910-1996), one of the four Generals of the French army during World War II, to support Brother Mikhael’s application of naturalization in France. This application for naturalization was a lengthy procedure, which began in the 60ties and 70ties and only was concluded in 1986 with the bestowal of French citizenship. In 1953 Brother Mikhael founded the spiritual center “Le Bonfin” in the South of France, where he would be staying often, and for long times. Every year since, hundreds of people from all over the world meet in this Initiatic School for a few months, in order to listen to his lectures about the teachings, and to live a life inspired by them. 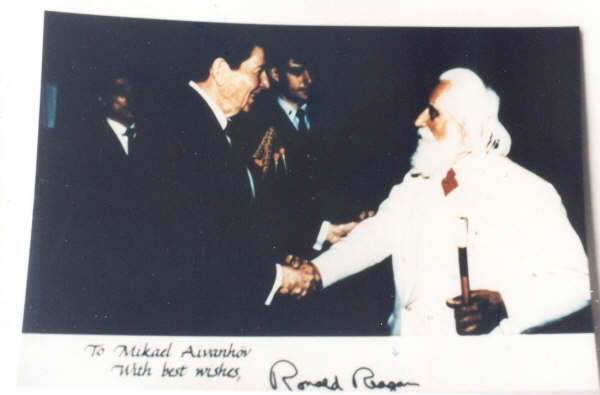 During the 1960ties Omraam Mikhael Aivanhov often left France in order to visit important spiritual sites, as well as emerging centers of the Brotherhood. He traveled to England, Spain, Italy, Greece, Sweden, the Netherlands, Germany, the United States, Canada, Israel, Japan, Sri Lanka, Hongkong, Morocco, Egypt, Ethiopia, Yugoslavia, Bulgaria, as well as Turkey and Lebanon…  In 1971 the Prosveta Publishing Company came into being (today located in Frejus, France), which began the publication of numerous lectures (totaling over 5000) of Omraam Mikhael Aivanhov. In April 1974 the publication of the “Complete Works”, a book series consisting of 32 volumes, was begun. In the meantime, translations of Omraam Mikhael Aivanhov books exist in more than 30 languages. The teaching of Omraam Mikhael Aivanhov  unites and rethinks the principles of the earlier spiritual traditions of East and West, in order to adapt them in new forms to today’s times, and to allow for the practical application of spiritual ideals and initiatic knowledge in daily life. It connects with the old teachings of the great Masters such as Hermes Trismegistos, Orpheus, Rama, Zoroaster, Buddha, Krishna, Moses, Pythagoras, Jesus… and rests on the hypothesis that there are two great cosmic principles – male and female, spirit and matter – which are governed by unchangeable, universal laws. These laws were known to the Initiates of all epochs, and are passed on as initiatic science by the great Masters and Philosophers of mankind. Over the course of the centuries this knowledge, this “eternal wisdom”, assumed different forms and manifested especially through the different, successive religions, where it became adjusted to the times, the culture, and the spiritual level of unfoldment of the particular people. Aivanhov leans on these old traditions insofar as he integrates mainly Christian, but also Iranian, Hindu, Buddhist, Taoist, and Jewish perspectives into his teaching. Thus he became the vanguard of an important tendency of our times, which demonstrates synergies and correspondences not only in the field of theology, but also in politics and social sciences, such as have existed at all times among the most important spiritual and religious currents – always with the aim of bringing peace and social harmony to earth. In further consideration the teaching of Aivanhov contains those elements of esoteric Christianity, according to which the arrival of an age of universal peace and wellbeing can come about through a sufficient number of individuals who work on realizing the “Kingdom of God” (https://en.wikipedia.org/wiki/Kingship_and_kingdom_of_God) first of all within themselves. According to Aivanhov one of the fundamental truths of initiatic science is that in the “subtle” world (the so-called “higher world”) all elements that make up reality, are linked and connected to each other in a specific way. Therefore, the realization of the Kingdom of God on our planet becomes an almost spontaneous and natural reality, if everybody makes efforts to realize this divine Kingdom within themselves, which then could bring about the return of the mythical Golden Age (https://en.wikipedia.org/wiki/Golden_Age). In order to describe the best way of how each individual can come closer to this significant ideal, Aivanhov reveals the eternal principles of initiatic science and defines the cosmic laws which reign both in the universe as well as in man; in the macrocosm as well as in the microcosm. At the same time, he also describes the constant exchange between “that which is above and that which is below”. A basis for this method is the conviction that human beings cannot attain the tangible realization of such a high ideal through faith alone, but that they also need knowledge about how ‘reality’ is organized. This knowledge will help to understand how the arrival of the Golden Age remains no longer a utopia, but becomes a certainty. Furthermore Aivanhov emphasizes how useful it can be on the individual level to have a high ideal. Even from a subjective viewpoint, it allows for better conditions of life: “… wenn ihr ein hohes Ideal habt, wenn ihr zum Beispiel das Reich Gottes auf Erden bringen wollt, werdet ihr alles von euch Gewuenschte erhalten und die Fuelle kosten.” (Quote)  The philosophical point of view of Aivanhov teaches that all people, regardless of their ethnic or religious origin, their social standing, or their material or intellectual possibilities, can participate in the realization of a new age of brotherhood and peace on earth. Different from many esoteric tendencies of today the “Universal White Brotherhood” doesn’t give a special name to their philosophical system, but rather uses the notion of the “teaching”. Aivanhov emphasizes that the underlying “text” of the teaching given by him is the “book of nature”, a “living” book, where the student himself can “read” all correspondences and laws that are regulating life. The predominant topic in the work of Omraam Mikhael Aivanhov is, therefore, the human being and his perfection as an essential prerequisite for the development of harmony and peace on the entire planet. Following this (not only Judeo-Christian) esoteric-spiritual tradition, a number of exercises are recommended, which will help to answer and solve existential questions, to better understand the inner life, and to conduct oneself better in daily life. Even references to the science of symbols, as well as to astrology, cabbala, and alchemy, appear less as abstract speculations, but rather serve to illuminate the phenomena of the inner and social life, their way of functioning; to explain the laws that are governing communal life and clarify the relationship between man and ecosystem. Beyond the esoteric foundations of this teaching, the philosophical system proposed by Aivanhov includes a series of exercises, of meditations and practices which can be integrated into daily life. They help to realize the ideal of spiritualizing matter, which means to bring the basic principles of spiritual reality permanently into material reality. The teaching includes gymnastic exercises, songs and meditative methods, which are derived largely from Peter Deunov’s teaching . Aivanhov connects the activities and principles that define a human being. The physical body corresponds to physical work, the will to respiration and gymnastic exercises, the heart to harmonious and artistic activities, the intellect to meditation, the soul to contemplation, adoration and prayer, and finally the Spirit to identification. Communal living: the students of Deunov as well as the students of Aivanhov live the experience of “fraternal life”  year-round, or at certain times. There, lectures will be listened to, shared vegetarian meals will be taken in silence, choir songs will be sung, etc. •	What is a Spiritual Master? ↑ Later included in the Ottoman Empire (1389-1912), the Kingdom of Serbia (1912), the Kingdom of Serbs, Croats and Slovenes (1918), the Kingdom of Yugoslavia (1929), the Socialist Federal Republic of Yugoslavia (1945), and finally the Republic of Macedonia (1991). ↑ When he arrived in Varna in 1907, to have him admitted to school he had been given one year more than his true age, declaring his birth date to be 18 January 1899. It was only much later, when he was fifty, that he learned from his mother his real age (Louise-Marie Frenette, Omraam Mikhaël Aïvanhov - Vita di un Maestro occidentale; Stella Mattutina Edizioni, 2016, pp.123). ↑ From 1938 until 1986, Aïvanhov gave thousands of lectures in French, first in France, Paris and the neighbouring region and later in Fréjus, southern France; then also in Switzerland, Canada, the United States, India, Sweden and Norway. These conferences, initially shorthanded, from 1960 were recorded on magnetic stripes, then on videotapes and, finally, disseminated by the publishing house Prosveta, from 1972, in printed works - translated into about thirty languages -, in audio and video format (on DVDs subtitled in several languages). ↑ Among the further readings that have most inspired the young Mihail, we remember the Works of Ralph Waldo Emerson."" ↑ Louise-Marie Frenette, Omraam Mikhaël Aïvanhov - Vita di un Maestro occidentale; Stella Mattutina Edizioni, 2016, pp. 65 e ss. ; Martin Baumann, Religions of the World, Second Edition: A Comprehensive Encyclopedia of Beliefs and Practices, Santa-Barbara, California, ABC-CLIO, 2010, 3200 p. (ISBN 978-1-59884-204-3, consultabile on-line)""